The Health Centre of Excellence is the culmination of 30 years of visioning and planning by Norway House Cree Nation to provide a full complement of community-based services that integrate and facilitate health and wellness from birth through to the end of life. The fully integrated Health Centre will provide diagnostic and treatment services, patient care and community health services to residents of Norway House Cree Nation, the affiliated town of Norway House and the surrounding region. 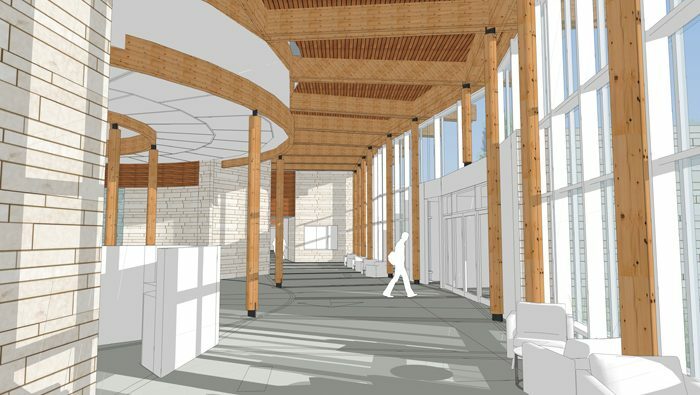 In addition to addressing the healthcare needs of the community, the Health Centre will create education and training opportunities for the people of Norway House Cree Nation while continuing to serve as a training hub for physician education through the U of M Indigenous Institute of Health and Healing. 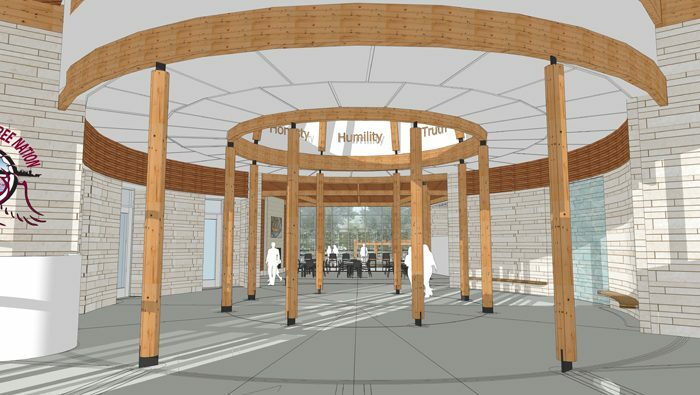 The design of the Health Centre is the result of a collaborative process, anchored in the vision of a holistic, culturally integrated wellness environment that welcomes and strengthens a sense of community. Spaces support the coming together of western and traditional medicines, so that all who receive care feel welcome. Integrated throughout the landscape and architectural design are references to the communities’ strong spiritual connection to its heritage and culture and to the regions land and watercourses.